Dietrine Review: Does Dietrine Really Work? Home » Blood Sugar Regulators » Dietrine Review: Does Dietrine Really Work? Dietrine is advertised as a “carb-blocker,” that can help you lose weight by “neutralizing” starch calories. How does it manage this? The active ingredient of white kidney bean (Phaseolus vulgaris) extract is known as “phaseolamin.” Retailers would like you to believe there is a growing amount of scientific data that indicates this compound has the ability to inhibit digestive enzyme alpha-amylase. Alpha-amylase is the enzyme required by the body to break starches down into the simple sugars that are easily absorbed by the body. What this really means is that to a degree, white kidney bean can effectively neutralize a percentage of the carbs you eat. That’s if it actually does inhibit the enzyme, of course. As an added bonus, it also seems to have a beneficial effect on blood triglycerides… which tend to be lower in people supplementing with this compound (there is not, however, any evidence that white kidney bean extract can block fat). i. Not all of these studies are double-blind, placebo-controlled, peer-reviewed studies published in reputable journals. Because published studies are critiqued by scientific professionals. If the methodology of the study was flawed, for instance, this will be called out by peer-reviewers. ii. Many of these studies are performed with very small control groups, which can often lead to inaccurate results, and therefore inaccurate conclusions. iii. Several of these studies appear to be sponsored (or influenced in some way) by the manufacturer of the Phaseolus vulgaris “starch neutralizer”, Pharmachem laboratories. While this not necessarily mean that the conclusions of the study are in error, it does mean that there is a rather large financial conflict of interest present we cannot ignore. In other words, in order for these studies to be completely credible, they would need to be duplicated by an independent, third party source. iv. Some results, although positive, were not statistically significant. i. Chromium: useful for moderating blood sugar levels, although studies show its effects on weight loss are contradictory. ii. Vanadium: Another blood sugar moderator, there are some studies that indicate that high doses (i.e., 100 mg/day) of vanadium can improve insulin sensitivity and reduce blood sugar levels in type 2 diabetics (see Diabetes. 1996 May;45(5):659-66, Metabolism. 1996 Sep;45(9):1130-5). Dietrine contains a mere 100 mcg of vanadium—not enough to provide much benefit. In fact, several people I know who have experimented with such products have gained weight, largely because of this false sense of security. 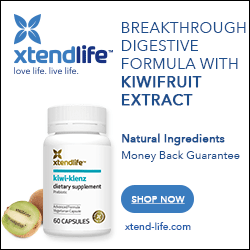 In the end, while white kidney bean extract does show some very minor potential as a weight loss aid, it is no miracle supplement, nor will it present dramatic results. If you’d still like to experiment with a carb blocker like Dietrine, there are much less expensive ways to do so. You can create your own similar product for much less money. For instance, the NOW brand Phase 2 carb blocker is available at the trusted online retailer BodyBuilding.com, for just under $16. The capsules are the same potency, and there are more servings too. If you want to experiment with chromium at the same time, that will set you back an extra $6. For sllightly less more than half the cost of Dietrine, you can experiment with all the critical ingredients. But what about all the web sites that highly recommend this product? They are mostly likely affiliates (i.e., they earn a commission on referred sales). A sale of Dietrine can earn promoters a 50% commission fee (no wonder this product is so overpriced!). May provide modest assistance to a weight loss program. Some clinical evidence to support ingredients, although support for the primary ingredient (Phase 2) isn’t as strong as it could be. Can be readily replaced by less expensive ingredients. Can induce a false sense of confidence.